Published: March 2, 2012 at 01:51 p.m. The Baltimore Ravens have placed the franchise tag on Ray Rice, the team announced Friday. The move secures the running back's services for 2012 as he and the team attempt to agree on a long-term contract. The Ravens have until July 15 to sign Rice to a long-term deal. If they are unable to reach an agreement, Rice will play for roughly $7.7 million in 2012 -- the franchise amount for running backs. 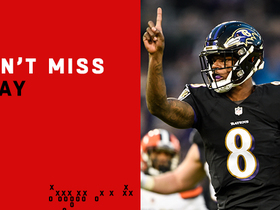 "As we have in the past, placing the franchise designation on a player allows us to keep negotiating on a long-term contract," Ravens general manager Ozzie Newsome told the team's official website. 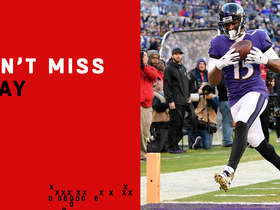 "Our goal is to keep Ray Rice a Raven. We've done this with other outstanding players through our history, including Haloti Ngata a year ago." The team applied the tag to Ngata, a defensive tackle, following the 2010 season before signing him to a five-year, $61 million extension in September. Speaking last week after meeting with the Ravens at the NFL Scouting Combine, Rice's agent, Todd France, told the Carroll County Times that he expected the tag to be applied. 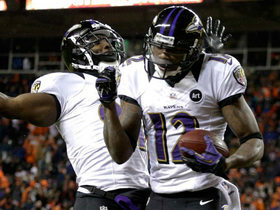 Rice, who led the NFL in 2011 with 2,068 total yards and added 15 touchdowns, told the newspaper he wanted a long-term contract shortly after Baltimore's season ended with a loss in the AFC Championship Game. "Yeah, I definitely prefer long-term over franchise tag," Rice said then. "I'm not going to complain about the franchise tag, either. It puts yourself in a position where you play that year out and guys have done it, but I prefer the long-term." The decision to franchise Rice was one of a series of roster moves announced Friday, including the release of cornerback Chris Carr and receiver Lee Evans. The team also added running back Ricky Williams, who announced last month that he would retire, to the reserve/retired list. Newsome indicated that the team might still be open to having Carr and Evans return. 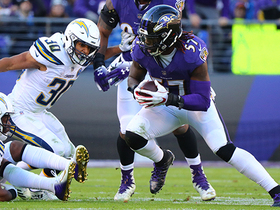 "As we talked about when we informed Chris and Lee of these moves, this does not close the door on them coming back to the Ravens," Newsome said.